For the Third Consecutive time, Gartner positions Riversand as a Visionary in the New Magic Quadrant for Master Data Management. Gartner evaluated 14 vendors and Riversand continues to be the only vendor listed positioned as a Visionary. The master data management market is experiencing tremendous growth as companies realize the value of data as a foundational requirement for business success. Several years of product investment resulted in the development of Riversand’s SaaS MDM solution that is outcome-based and data-centric. 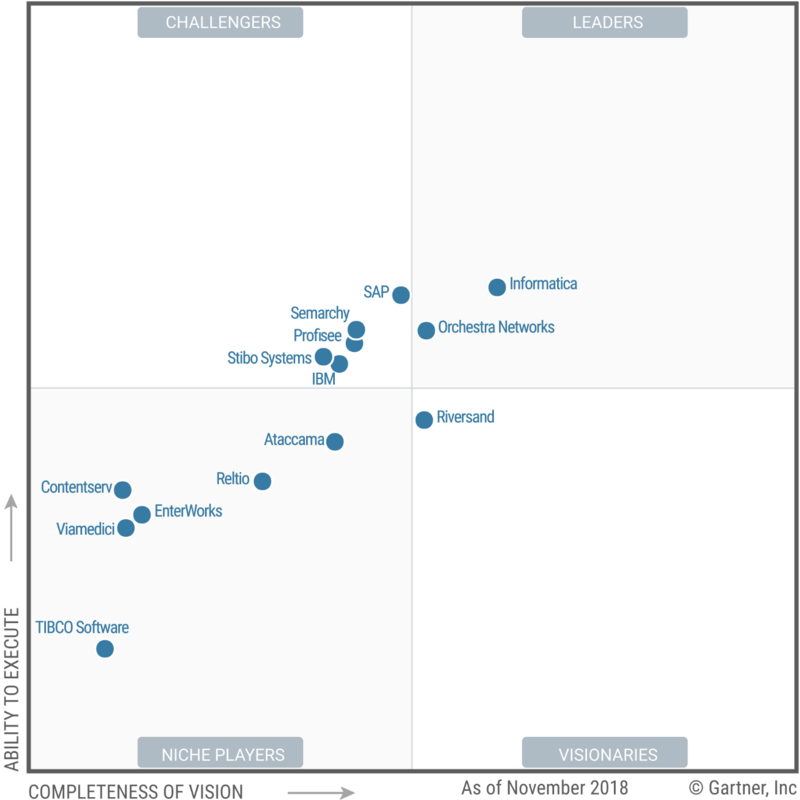 Please enjoy your complimentary copy of Gartner’s Magic Quadrant and let us know if we can help you drive value to your organization.